It takes a special kind of person to bring ice cream into its completely own art form. That is exactly what entrepreneur Jeni Britton Bauer did when she opened Jeni’s Splendid Ice Creams back in 2002. Jeni creates undeniably delicious ice cream by combining only the best ingredients into tongue enticing flavors. Born and raised in Peoria, IL, Jeni spent the beginning of her twenties like any other recent college graduate — a little unsure of the future. She planned to combine her love of art and food by becoming a French pastry chef. Soon thereafter, Jeni began blending perfumes and collecting essential oils. This sparked an interest in creating ice cream which she sold at her local farmers market. Eight years later, Jeni made the big jump and invested in her business — thus Jeni’s Ice Creams came to life. 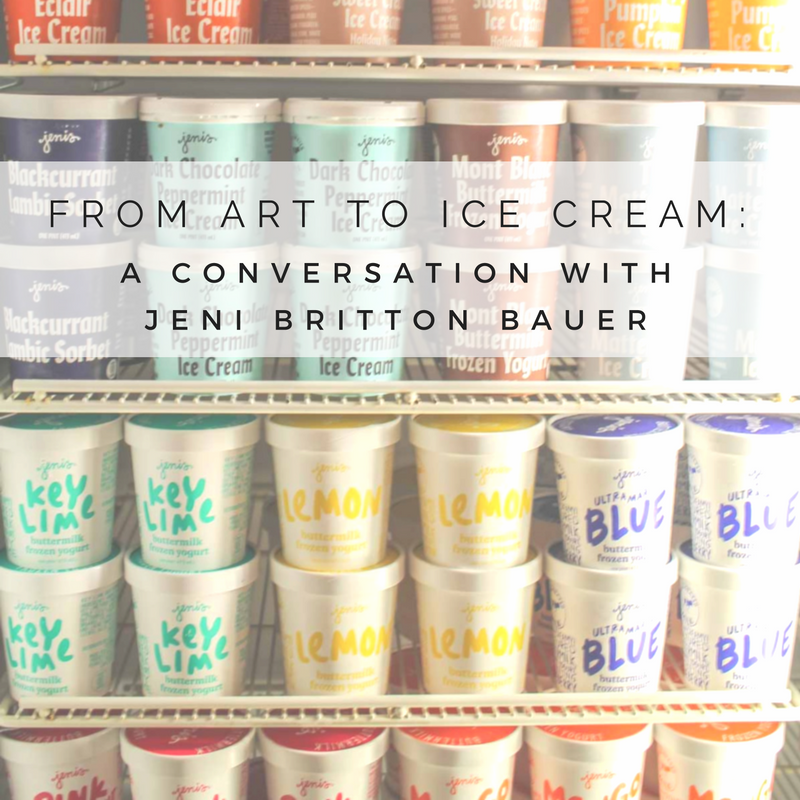 When asked where Jeni gets her inspiration for her flavors, she emphasized that a lot of her flavors come from conversation. She gets inspired by talking to different groups of people. These conversations have helped create flavors like Thai Pumpkin Curry, Dark Chocolate Peppermint, and Brown Butter Almond Brittle to name a few. The process of blending and mixing unlikely flavors — that’s when you really get into what she likes to call the “ice cream nerd house”. Jeni is a big advocate of using the best whole ingredients and dairy from grass-pastured cows. As it turns out, getting milk from grass-pastured cows was the most difficult aspect of bringing her flavors to life. The best part of it all? You can get Jeni’s Ice Cream delivered right to your door. Which is pretty amazing if you ask us. She’s teamed up with Foxtrot — an e-commerce/brick-and-mortar hybrid that delivers wine, beer, fresh foods and other essentials right to your door. They opened their newest location on Armitage Avenue on Friday, Dec. 17th and inside Jeni’s Ice Cream is one of the featured shops. Jeni explained her excitement about the collaboration. Have a favorite Jeni’s flavor? Let us know down below!